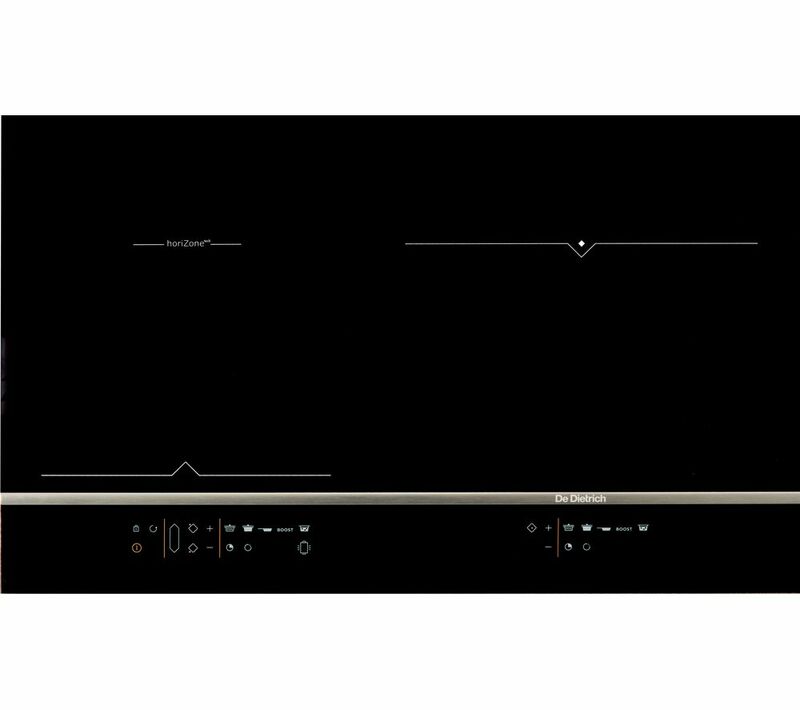 The De Dietrich DPI7966XS Electric Induction Hob uses induction technology to help you cook with confidence. Using magnets, it heats up your pans rather than the surface, making it a safe and efficient addition to any kitchen. Channel your inner chef with precise control and rapid heat to prepare delicious meals for the whole family. The ICS function recommends the best-suited zone for each of your pots, while the Switch function lets you move your pans between zones whilst keeping the same cooking level, so you won't have to worry about manually changing the settings for each zone. Using just your fingertip, you can easily select the settings for each zone. Choose from 20 power levels and four different timers, keeping you in control of your cooking at all times. You can also select specific functions, such as the Boil function which can be used to rapidly heat water so that you can manage the timings of your meal. The Recall function restores the previously used settings, so you won't have to worry if you accidentally turn off the hob. As well as helping you to prepare delicious meals, the DPI7966XS keeps you safe in the kitchen. 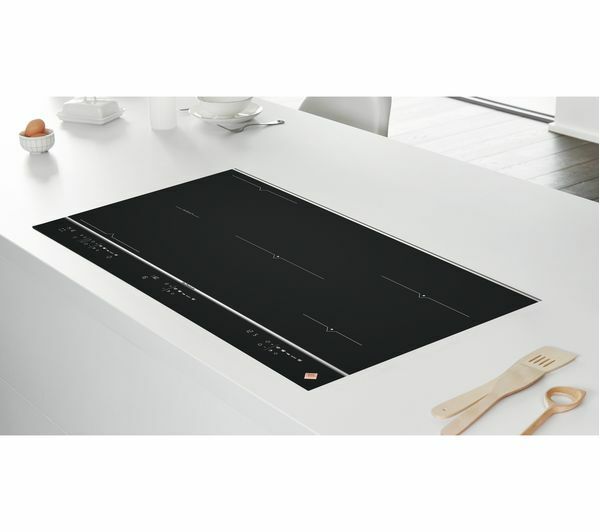 An auto-stop system is ideal for if you forget about a dish you're cooking, while residual heat indicators warn you if the hob is still hot. This was a replacement for a 13 year old same size de Dietrich 5-ring induction hob. Compared with the original, the new one is nowhere as nice. The original had an uninterrupted classy black surface, easy to wipe clean. It also had an independent control for each ring. This replacement has 2 raised metallic strips across the width of the hob which detract from the smooth appearance and trap dirt, as does the ridiculous bronze raised diamond de Dietrich logo. The controls for each pair of hobs are shared and liable to be confused - more than once, in a hurry, I have altered the setting of the wrong ring. The touch control for one of the pairs is significantly less sensitive than the other.